OKLAHOMA CITY (AP) — The upcoming monsoon season in the nation’s Southwest is expected to be wetter than normal, but weather experts said Monday that even an exceptionally damp season is unlikely to lift the region’s annual rainfall to average levels. 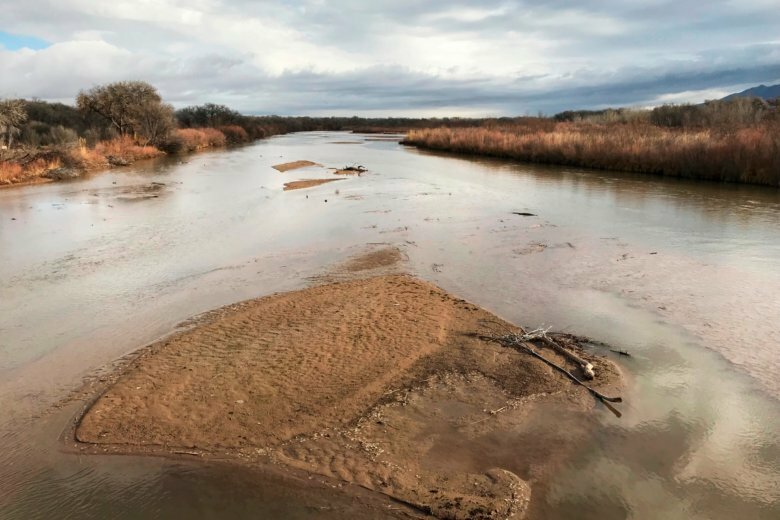 Weather forecasters said sparse rainfall since autumn in the Southern Plains has caused drought conditions to worsen, especially in the Four Corners region of Colorado, Utah, Arizona and New Mexico. The U.S. Drought Monitor says moderate to extreme drought also persists in parts of Oklahoma and Texas. Winter snowmelt and spring rains generally replenish water supplies, but precipitation through May has been insufficient to improve the region’s drought conditions, said Becky Bolinger, Colorado’s assistant state climatologist. Brian Klimowski, a National Weather Service meteorologist in Flagstaff, Arizona, said monsoons — a seasonal change in weather patterns — typically provide a significant percentage of rainfall in the region in July, August and September. Up to 50 percent of annual rainfall in New Mexico occurs during the monsoon season. Klimowski said the region should begin receiving monsoonal moisture during the first half of July, later than normal. And while climate experts believe a developing El Nino weather pattern will help increase monsoonal rainfall, it won’t be enough to overcome the region’s rainfall deficit. Bolinger said warmer-than-normal temperatures and sporadic rainfall has exacerbated wildfire conditions in the region. Fire restrictions are in place in many southwestern states as the Fourth of July holiday approaches, and wildfire risks have closed some national forests to visitors. “We’ve been having a lot of fires,” Bolinger said. The current wildfire has been more active than most due to drought conditions, Bolinger said, noting that the vast majority of wildfires are caused by people rather than lightning or other natural causes. Thousands of Northern California residents were forced to flee their homes Monday due to wind-driven wildfires that broke out over the weekend. In Colorado, the residents of more than 2,000 homes were forced to evacuate as firefighters battled a wildfire that started in a southwestern Colorado forest on June 1. Officials say residents have since been allowed to return. On Monday, President Donald Trump approved Oklahoma’s request for a disaster designation after wildfires scorched western parts of the state in the spring, allowing federal assistance to supplement state and local recovery efforts. Two deaths and multiple injuries were attributed to wildfires that burned more than 547 square miles (1417 sq. kilometers) April 11-20, causing an estimated $26 million in damage to livestock, pastures, fences and buildings.